Rising seas pose a rising risk to global coastal populations, ecosystems, economies and infrastructure around the world. 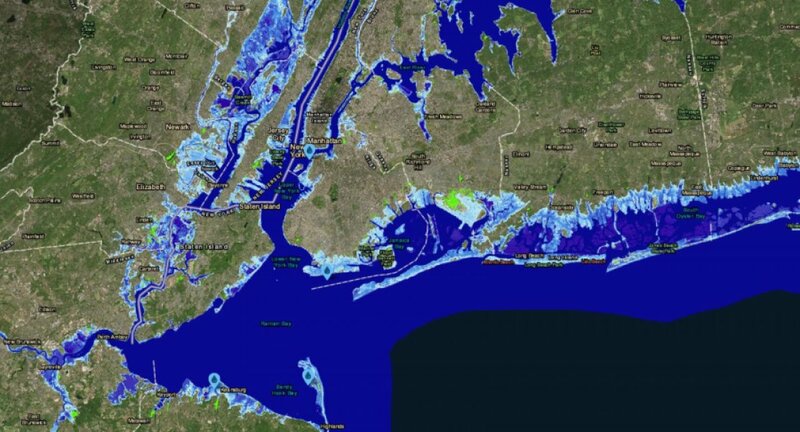 Researchers at Rutgers University have zeroed in on flooding in Atlantic City, New Jersey and Singapore in particular and have delivered an alarming set of projections if greenhouse gas emissions aren't reduced. Here are the latest projections by scientists at Rutgers. There will be a global average sea level rise of up to 8 feet by 2100. And the sea rise will hit another 50 feet by 2300 if greenhouse gas emissions aren't cut. 11% of the world's population now lives in areas that are less than 33 feet above sea level. That means rising seas, stoked by storms, pose an ever growing risk year after year. Sea levels of course vary by location and time but between 2000 and 2050 average sea levels are rising up to 18 inches. It's a growing issue of global concern to all of us.